Lorna Morris - Are there similar websites for other coalfields/mines? I hope you don't mind me contacting you. Your website is extremely informative and well put together; I was just wondering whether you have any more information on the Homefire plant in Coventry. Hope you can help. I've copied some of the info and picture about Grassmoor into a facebook group I'm admin for (Grassmoor Pitcures). Someone has queried the dates used as they attended the training centre in 1963. Could you clarify please? 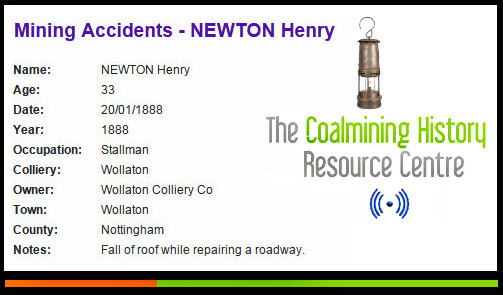 Sorry to bother you I'm trying to get more information, and hopefully find if there is a newspaper report about my ancestor, Henry Newton who died aged 33 after an accident at Wollaton Colliery Nottingham on 11-Oct-1888. I can only find the bare bones of the story, it was a roof collapse, just wondered if you could point me in the right direction. Not corresponded with you in ages. 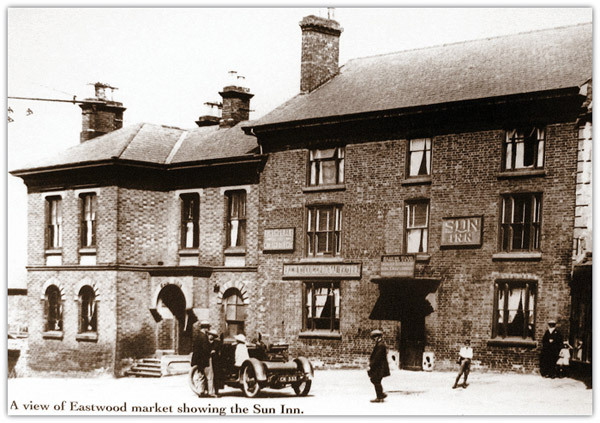 On Facebook, there is a fierce discussion over a picture taken from your site, namely an old line-drawing of the Sun Inn at Eastwood, with various contributors saying that it is not the Sun Inn. Are you able to tell us the source of this picture, as that may help quell the disagreement? If one looks closely I think you can see where alterations have been made over the years. 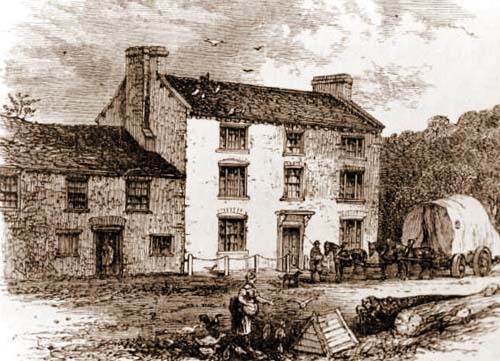 The sketch of the pub is from Williams Book "The Midland Railway It's Rise and Progress", which was originally published in 1871. I'm hoping that you will be able to help me with a friends mystery; we are trying to find out information on mining and what would have happened to children of a family, when they have lost both parents in 1930. We think they were sent to an orphanage, but not 100% percent. It is believed that the last parent to pass away was the father, who was a miner, as a result of a head injury which could have been an accident? Could I ask you if there any way that we could find list of miners names? Like I mentioned the father was a miner to the best of our knowledge. It would be great if we could locate his name at a mine. 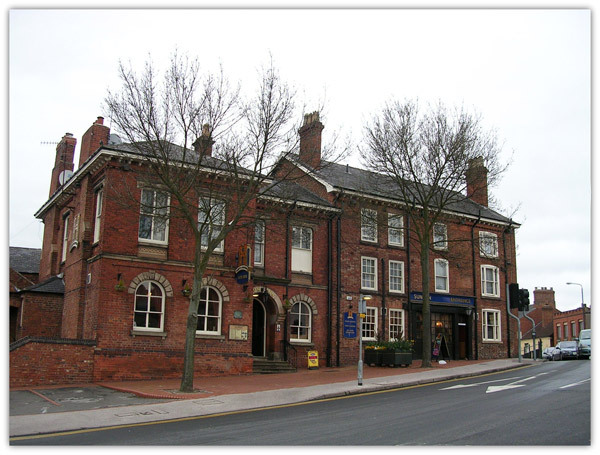 The last know address for the said family, Surname Stillgoe (Stilgoe), was Pearl Street, Leeds. I don't know if this can help ornot, if a mine can be located or an orphanage it would be great, but any information or help is greatly received, even if it's sorry can't help you this time. I would be so grateful for any help or a point in the right direction. Generally in those times the Grand parents if alive could have taken them in and brought them up. For example I lived with my grand parents from being born until they died after I was married. Or possibly an Aunt would have taken them in. It would have been the last resort to have been sent to an orphanage or the workhouse. 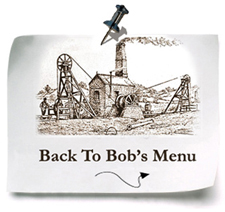 Are there similar websites for other coalfields/mines? I am 'recently' retired and starting to collate the family history. Many of my forebears were miners and several died in mining accidents. I am seriously impressed by the quality of research that has gone into this website and wonder if anything similar has been done for Derbyshire, Yorkshire or other areas? I now regret not quizzing my uncles and grandfathers when they were around to answer questions. I do not even know my late father's army number - but that is another problem to overcome ! Also, is there any way of finding out which mines my ancestors worked in? It seems ironic that I know where someone worked only if they died there (like all those who died at the Somme in 1916). When I was studying for my 1st Class MQB certificate, way back in the late 50's, this monthly publication was regarded as essential reading. I think it was produced in Wigan and apart from articles of interest to a student, it contained sample answers to questions previously set in the MQB exams. It's all defunct now of course, but I often wonder if there are any archive copies around, somewhere. It was a very worthwhile publication, quite cheaply produced and avidly read. 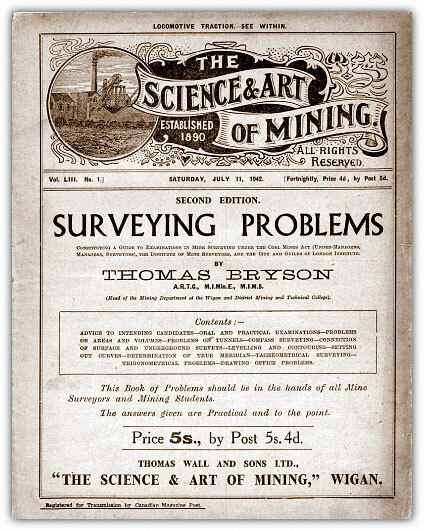 A handbook for mining students and colliery managers, printed by Thomas Wall and Sons, 27, Wallgate, Wigan. 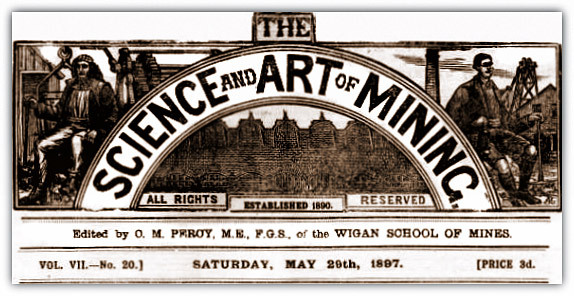 Edited by C. M. Percy, M.E., F.G.S., of the Wigan School of Mines. Some articles relating to Wigan can be read by clicking WiganWorld here. What a fantastic magazine....4d a fortnight. I too used to read them whilst studying for my Surveyor's Certificate etc in the 1950s. As you say, the exam questions were answered in a simple straightforward way and easily understood. They certainly helped me for several certificates including Deputy and Shotfirer, City & Guilds, Builders Surveying, Home Office cert, ONC and HNC. I did have many copies and unfortunately gave them to the Mining Records Office of the Coal Authority where they are languishing unseen and unused in a locked up library. 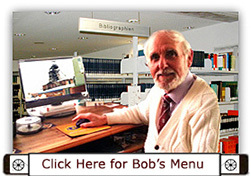 When I gave them years ago the library was open plan and all books were available to anyone. I have contacted that department today to see if I can have them back. Will let you know when I receive a reply. Hi, I have just looked at your website and I think it is fantastic, congrats to you. The only thing is my wife asked about Oxcroft as her father worked there for years and we could not find any thing for this. I will wait to see your reply. 1949 Barlborough closed after 75 years, (also known as Oxcroft No3) - Some information here. 1974 Oxcroft Drift Mine closed, after 25 years - as did Oxcroft No1 after 44 Years and Oxcroft No3 after 76 years.